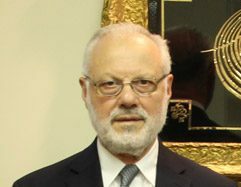 Dr. Yusuf Ziya Kavakci was born in 1938 in Hendek, Sakarya, Turkey. His rise to scholarship began early; by the age of 10, he memorized the entire Quran and became a certified Qari, or reciter. Dr. Kavakci obtained a bachelor’s degree in Islamic Studies from the Institute of Higher Islamic Studies, and a Law degree from the College of Law, Istanbul University. In 1967, he received his PhD in Islamic History and Culture from Istanbul University, Faculty of Letters. Thereafter, he worked as Assistant and Associate Professor at the Institute of Islamic Research, Istanbul University. Residing in Dallas, Texas, he serves as Scholar-in-Residence for the Islamic Association of North Texas (IANT), the largest mosque in north Texas. He continues to teach a host of programs there including Fiqh (Nur al-Idah, Majalla and others), Aqida (grammatical analysis and translation of al-Fiqh al-Akbar by Abu Hanifa, Aqida of al-Tahawi, Aqa’id of Umar Nasafi), Hadith (Nawawi’s Forty Hadith, Ramuz al-Ahadith by Gumushhaneli Ziyaeddin Efendi), and Grammatical Analysis of the Quran. Dr. Kavakci is the founder of both Suffa Islamic Seminary and IANT Quranic Academy.